I saw Creed II this past week and it was phenomenal! I enjoy the Rocky movies as much as the next person, and Creed II was a wonderful example of the form. It’s not a game-changer like the first Creed. Instead, it works the Rocky formula to perfection, building up to a climactic boxing match as exciting and as emotionally satisfying as any match before it. It doesn’t have it’s own Apollo Creed. Back in the original movies, Apollo Creed was a larger-than-life character and really bolstered the entire franchise. Carl Weathers was phenomenal as the ego-centric showman that was Apollo Creed. The character appeared in the first four movies. The big match of Rocky II was a rematch between Rocky and Apollo, and he stayed on as a friend and ally of Rocky. And now, 30 years later, the entire franchise has been reborn using Apollo Creed’s legacy. 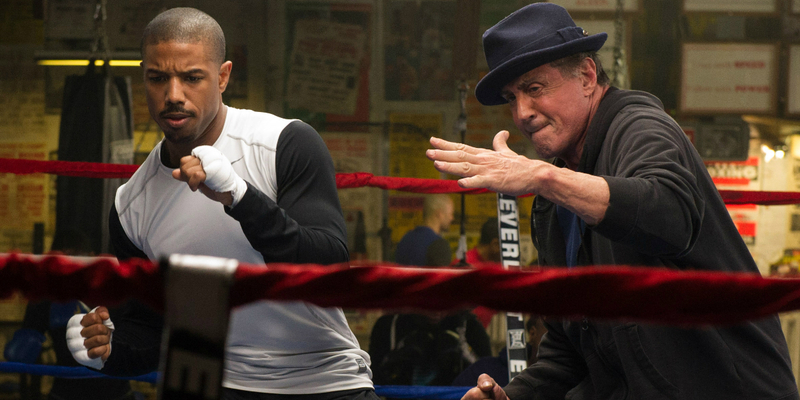 The Creed movies work so well within the Rocky franchise that you’d think this was the plan from the beginning, especially with how they use Sylvester Stallone as the aging mentor to the young Adonis Creed. The way Apollo Creed’s death in the ring to Ivan Drago in Rocky IV is worked into Creed II, for all characters involved, is nothing short of genius storytelling! But Adonis Creed doesn’t have any boxing friends or allies. He’s just got mentors and his girlfriend. I don’t even remember his opponent in the first Creed. A quick Wikipedia search tells me it was “Pretty” Ricky Conlan. Who? He doesn’t show up in Creed II, that’s for damn sure. Some SPOILERS for Creed II from here on out. 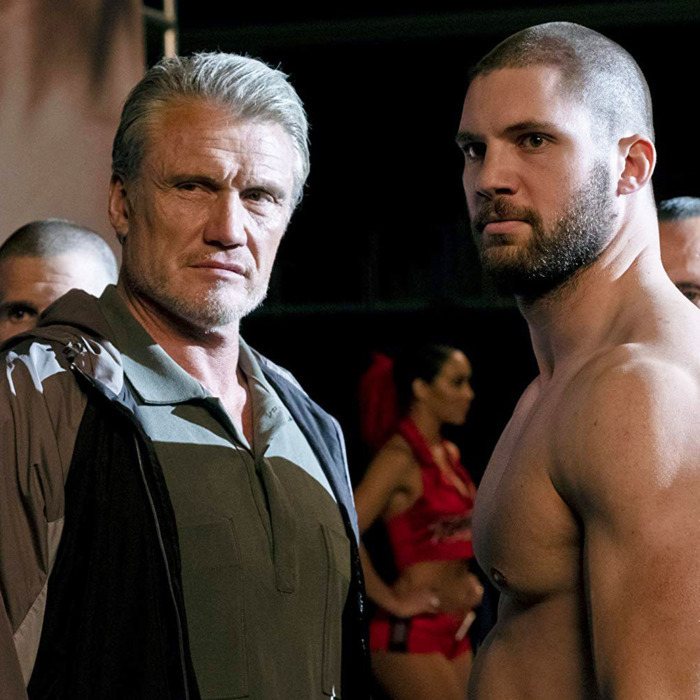 In Creed II, Ivan Drago comes back onto the scene with his own son, Viktor Drago. They challenge Adonis Creed for the title belt, and it makes for a phenomenal movie. The Dragos aren’t just brought in as villains. They get their own storyline, with an emotional payoff that’s just as crucial to the end of the movie as anything Rocky or Adonis do. But Viktor Drago is nobody. He’s got a nice story, but he’s only got a few lines of dialogue, and most of the story rests on Dolph Lundgren as the returned Ivan Drago. Real-life boxer Florian Munteanu was brought in to play Viktor. Maybe because there weren’t any Hollywood actors as big and as muscly as they needed for the role? You couldn’t have The Rock playing Viktor Drago. But Munteanu isn’t an actor and he doesn’t bring much to the role beyond being big and muscly. He does a good enough job conveying the conflicts that Viktor faces, but he’s just not much of a presence. So the Creed movies just don’t have their own Apollo Creed as a frenemy to Adonis. But listen closely, all you Hollywood folks who secretly read my obscure blog: bring Viktor Drago back as an ally in Creed III. Give Munteanu some acting lessons and make him a real person, who returns to Adonis Creed’s life for some reason. Build him up as a person. And, most importantly, give him a son. Then, 20 or 30 years from now, you’ve got a new franchise on your hands: Drago. The grandson of Ivan Drago is an up-and-coming boxer looking to redeem his family’s legacy. He comes from a line of killers and losers, so he’s definitely starting from the bottom. And it would be opposite from Adonis Creed’s storyline, who is coming from privilege in an effort to live up to the championship legacy of his father. Grandson Drago would be forced to carry the disgraced, ugly legacy of his father and grandfather. He’d come from the bottom wrung of society and work his way up from that. And the kicker, of course, is you bring back the older Michael B. Jordan to play Adonis Creed in the mentor role. Then you’ve got the son of Apollo Creed training the grandson of Ivan Drago! That practically writes itself! Adonis Creed also has a daughter in the new movie, so…possible romance for Amara Creed and Grandson Drago? Granted, Rocky also has a grandson, who we meet in Creed II — Logan Balboa. But it doesn’t seem like they’re making Logan into a boxer. And if the future franchise focuses on him, then we’d just be re-doing Creed, where the descendant of a famous champion comes out of nowhere to try and live up to his predecessor’s grand legacy. A new series focusing on the Drago family would be more interesting. Logan Balboa could have a spot in Grandson Drago’s corner, but he shouldn’t be the focus. Sylvester Stallone will likely have passed on by then — God rest his soul — and everybody involved could acknowledge Rocky’s legacy. That would be a nice touch. And Mr. T is only 66-years-old, so Clubber Lang and any of his boxing offspring could show up! The world is ready for more Mr. T! Posted on December 3, 2018, in Movies and tagged Creed, Creed II, Rocky. Bookmark the permalink. Leave a comment.